Nurenberg resident Siegfried Bettmann came to Britain and in 1886 founded the Triumph Bicycle factory in Coventry, England. He continued making bicycles there and then in 1896 went back to his home town of Nurenberg and established another bicycle factory under the same name. It was not long after the establishment of the Nurenberg Triumph factory that Siegfried Bettmann decided to start motorizing bikes and by 1902 the Coventry factory was making motorcycles followed by Nurenberg a year later. 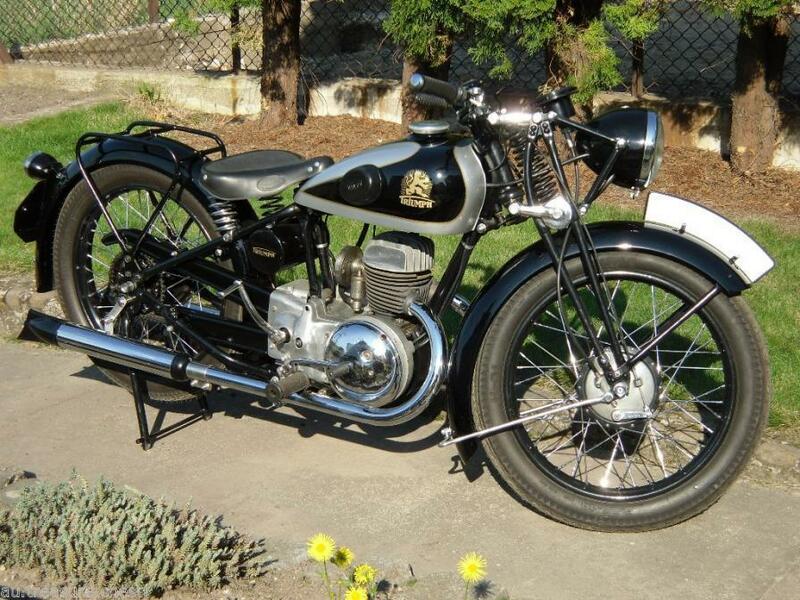 This 1936 vintage German made Triumph B200 is for sale on eBay. Having the same name for the two factories products seems to have worked for a while but as Germany and Britain began to eye each other off warily in the events that would lead to the First World War it was decided to give the products of the Nurenberg factory a distinctive name. The name eventually settled on was Triumph Works Nurenberg, or in German Triumph Werke Nürnberg. During this period the market for motorcycles in Germany turned out to be quite limited so the German works became Triumph-Werke Nürnberg Aktiengesellschaft and branched out into making typewriters. The German TWN motorcycles are distinctive and well made. The final advent of the First World War between 1914-1918 ensured the separation of the two Triumph companies. In their separate states in the aftermath of the war the Nurenberg based Triumph tried their hand at making and marketing small and inexpensive mopeds called the Knirps. Despite only having a 276cc two stroke engine creating a not excessively exciting 3hp the Knirps actually sold quite well. In the post World War I era of the “Roaring Twenties” the two Triumph companies were still separate entities although were sharing parts and engines but the British based Triumph company decided that it was not good to allow their German counterparts to keep using the Triumph name and took them to court in Britain in 1929. This formally ensured that Triumph and TWN would be seen as different companies. The TWN brand name first appears on German made motorcycles in 1931. The B200 was originally created because of favorable German tax laws on motorcycles up to 200cc capacity. 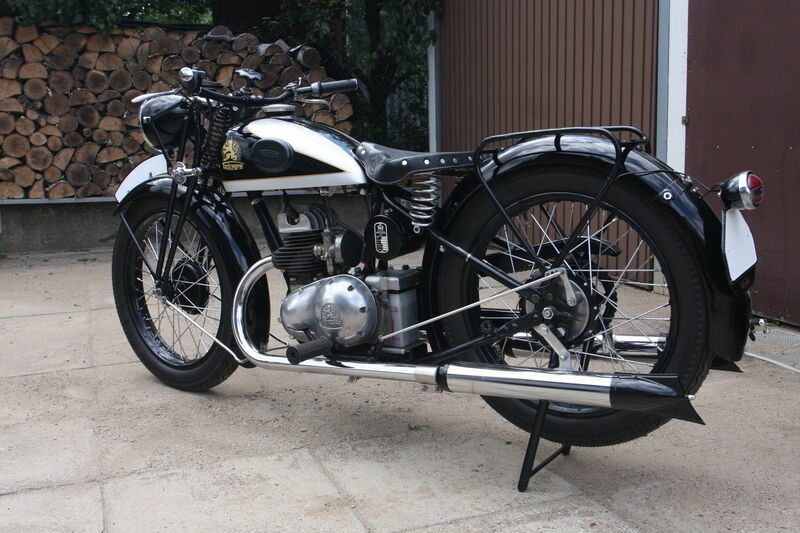 By 1936 TWN was making a series of models of which our feature bike is one. These models were the B200 (made to fit under the German tax limit), the B204 and the B350. 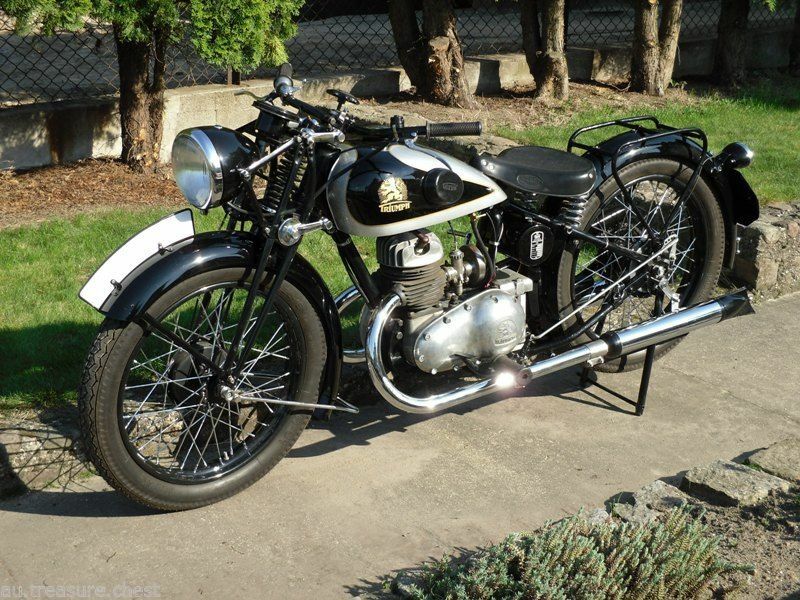 As the Second World War loomed TWN found themselves making motorcycles for the war effort especially the BD250 which featured an unusual “Split Twin” engine. The Split Twin had two cylinders but both shared the same cylinder head and spark plug. It’s quite a novel idea. 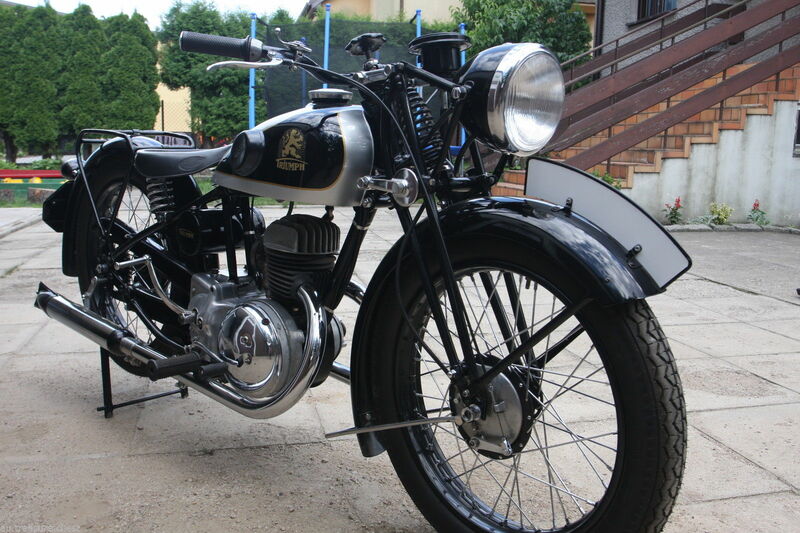 The BD 200 is a two stroke twin cylinder 200cc motorcycle capable of around 50mph. 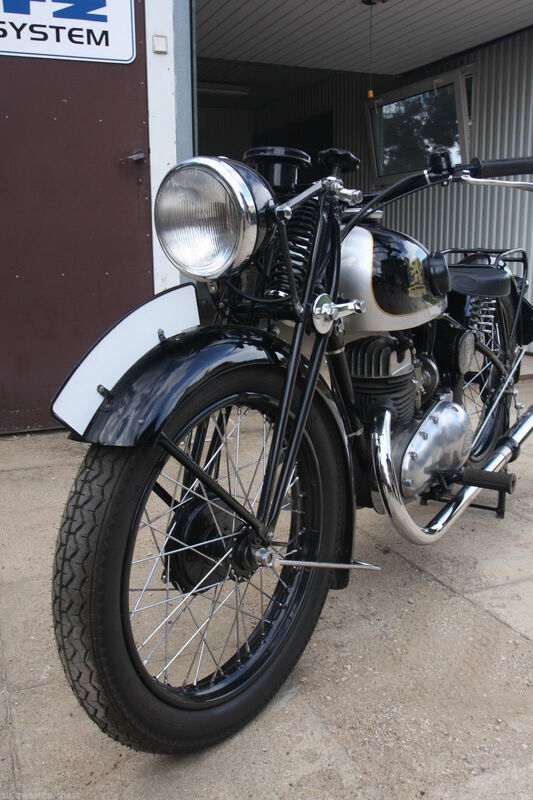 Our feature bike is a nicely restored 1936 TWN B200. The motorcycle interestingly still wears the Triumph badge on the tank, and the black and gold combination with the silver grey on the tank make for a striking effect. You will find this unusual motorcycle for sale on eBay if you click here. 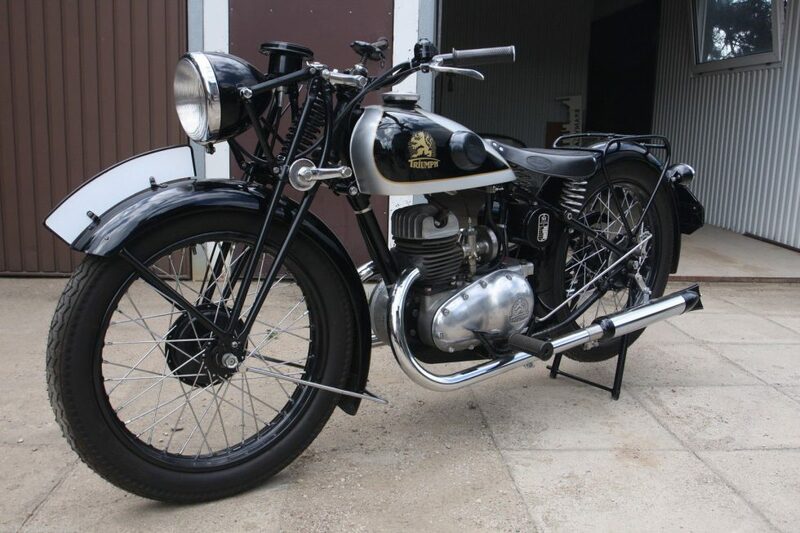 So if you are a seeker after rare and unusual motorcycles then this one looks to be an excellently restored example of a bike you don’t see at all often.